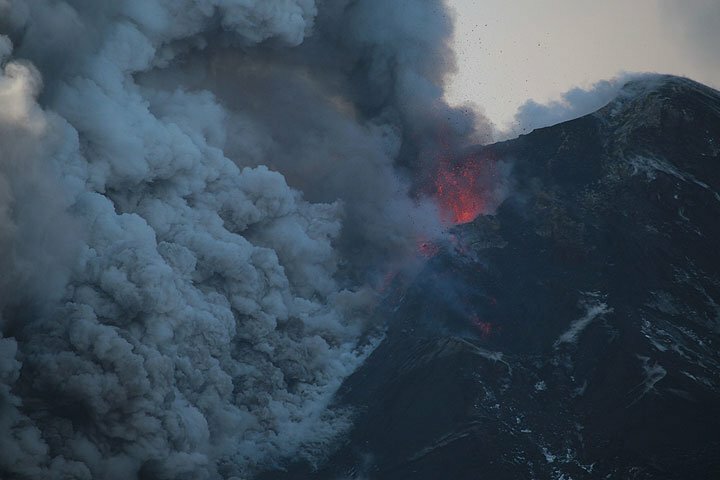 Etna (Sicily, Italy): The activity at the New SE crater has been continuous all day and is still gradually increasing. A low lava fountain feeds a lava flow from the new pit crater. This flow occasionally generates small pyroclastic flows as parts of its front collapse on the steep slope.